Cologne. German Institute for Furniture Technology Rosenheim (Deutsches Institut für Möbeltechnik – DIM) and eco-INSTITUT Cologne pool their expertises in the fields of furniture and pollutant testing. This was announced today by the two institutions during Cologne furniture fair imm cologne. The aim of the cooperation is to provide a service for the furniture industry being perfectly tailored to the needs of the manufacturers, services including the examination of furniture, furnishings and mattresses in terms of emissions testing, material analysis and pollutant source identification. Furniture has to meet many requirements in order to satisfy the end consumer and to obtain an independent quality certificate such as RAL quality mark “Golden M”. Among the basic quality criteria growing more and more important is health and environmental compatibility of furniture. 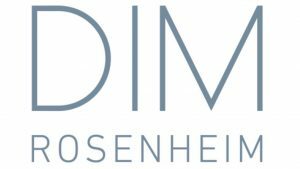 In order to prepare for the future, DIM Rosenheim is now cooperating with the eco-INSTITUT from Cologne. Both cooperation partners are leaders in their respective fields. DIM Rosenheim looks back on 40 years of experience in furniture testing, while eco-INSTITUT is one of the most experienced German laboratories for indoor air analysis and has been emissions and pollutants testing construction products, mattresses and furniture for about 30 years. director of DIM Prof. Thorsten Ober and managing director and founder of eco-INSTITUT Frank Kuebart explain. Furniture, furnishings and mattresses may be sources of indoor pollutants due to their area and proximity to the user. The materials used for the production of furniture, furnishings and mattresses are extremely diverse – and thus possible pollutant risks are, too. The interest of the users in pollutants off living environments grows and is ultimately crucial to the buying decisions of a growing customer base. The furniture industry has also recognised this consumer interest and is increasingly beginning to test its products in terms of health-hazarduous pollutants or odours. eco-INSTITUT and DIM Rosenheim as a partner and testing institute for the furniture industry see a need for action for a range of services tailored to the furniture industry in order to emissions test furniture, furnishings and mattresses, to analyse materials and to identify sources of pollution. After the restart of DIM in 2017, the institute quickly established itself as a new and competent partner for all questions of furniture technology and testing. In addition to extensive investments in testing machines and testing equipment to expand testing capacities, the focus of the last two years has been on setting up a new team of engineers. In the field of environment and health, DIM already worked together with Cologne-based eco-INSTITUT right from the start. Daniel Tigges, managing director of eco-INSTITUT says. The institute is an accredited testing laboratory for performing test following legal requirements and various programmmes of quality labels like US certification systems. As an international, technical and scientific service provider and testing institute, DIM is specialised in assessing the quality of furniture, fittings and other furniture supply products. It is as an important partner to the furniture and supplier industry and offers a wide range of services starting at knowledge and technology transfer to product testing and product certification and monitoring. It pools academic and technical know-how with decades of experience in cooperation with the Technical University of Rosenheim. Ober states. As a testing service provider, DIM tests all types of furniture and construction methods, such as cabinets, tables, chairs and mattresses. So it was an obvious step to form a joint competence center for environment, health and technology. From now on, Johannes Stock will be the main contact person for the area of environment and health of DIM. The graduate environmental engineer has already gained extensive experience in the field of interior analysis as project manager of eco-INSTITUT. In addition, Stock can draw on the entire competences of eco-INSTITUT team. “Among the basic quality criteria for furniture strongly gaining in importance counts the health and environmental compatibility of furniture. In order to be prepared for the future, a competent partner is available to the industry with DIM. Thanks to the cooperation of eco-INSTITUT and DIM Rosenheim experts, the areas of environment and health and furniture technology will be closely linked in the future.